The unmistakable classic design of this chair oozes elegance and luxury style. The Chesterfield style button detail, along with the intricate beading along the arm and back rests makes this a statement piece of furniture. The plump seat pad and contrasting wooden feet ensure that this is a comfy seat also. 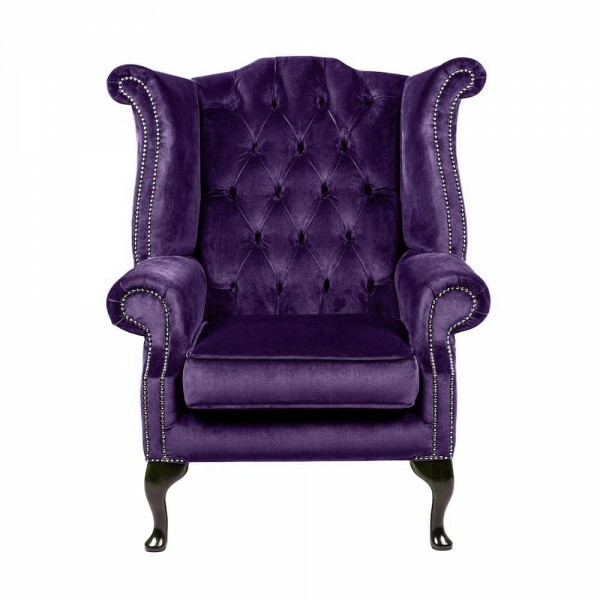 You may choose to pair with our range of purple velvet Chesterfield towers to complete the look. • Luxurious gold velvet low chair with button detail back rest• Modern contemporary design• Availabl.. The unmistakable classic design of this chair oozes elegance and luxury style. The Chesterfield styl..